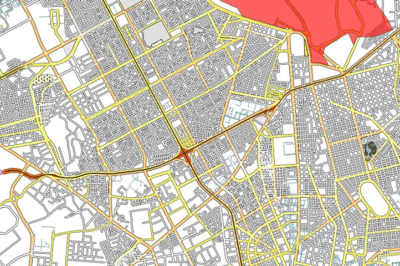 The Map Gallery features maps by users around the world. 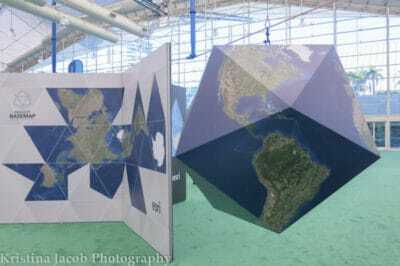 Esri's Dymaxion map projection hanging in the Sails pavillion this year. 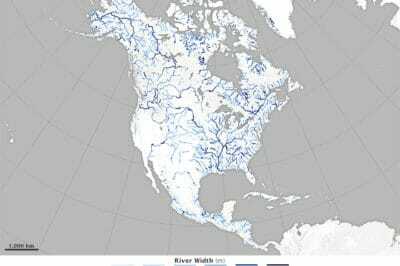 Map of river widths for North America. The darker the blue, the wider the river. Source: NASA. Researchers used 1,756 Landsat images to develop a GIS database of river widths for the entire North American continent. 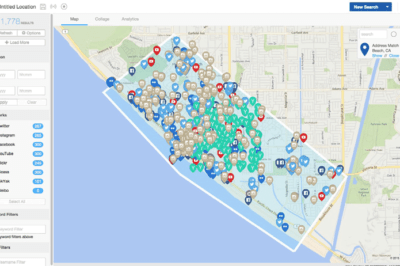 The GeoFeedia app lets the Huntington Beach Police Department monitor social media activity by location and keyword. 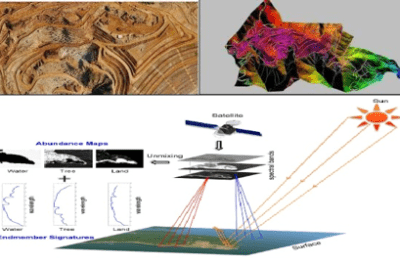 Geofeedia allows users to monitor real-time social media content from Twitter, Instagram, Facebook, YouTube, Picasa, Flickr, and Sina Weibo based on geographic boundaries.